If you have any questions about the AD-VANTAGE information page below please contact us. 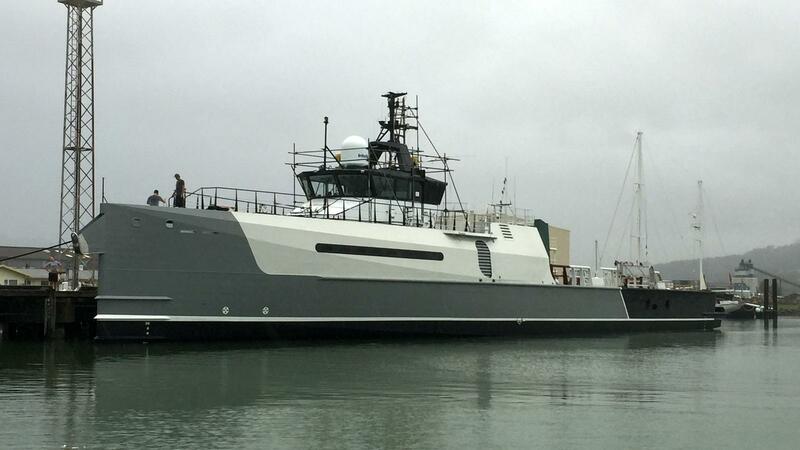 AD-VANTAGE is a luxury yacht support vessel, launched in 2012 by the Dutch shipyard DAMEN and underwent a complete refit in 2015 by Oceania Marine's North Shipyard of Port Whangarei New Zealand. 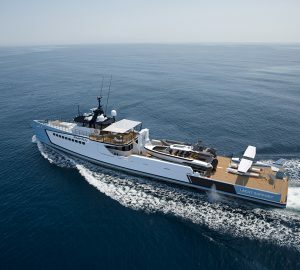 She is able to accommodate up to six guests in three cabins and carries a crew of up to nine members. Her comprehensive conversion included construction and fitting of a submarine garage, reconfiguration of the deck, as well as the installation of Quantum stabilizers. A maximum of six guests can be accommodated in three luxury cabins on board, while a crew of nine provides service. We do have available further amenity, owner and price information for the 54.99m (180'41'') yacht AD-VANTAGE, so please enquire for more information. The luxury yacht AD-VANTAGE displayed on this page is merely informational and she is not necessarily available for yacht charter or for sale, nor is she represented or marketed in anyway by CharterWorld. This web page and the superyacht information contained herein is not contractual. All yacht specifications and informations are displayed in good faith but CharterWorld does not warrant or assume any legal liability or responsibility for the current accuracy, completeness, validity, or usefulness of any superyacht information and/or images displayed. All boat information is subject to change without prior notice and may not be current.